This entry was posted on September 20, 2008 at 4:55 pm and is filed under Barack Obama, Conservative Issues, Humor, Iraq, John McCain, Politics, Sarah Palin, War. You can follow any responses to this entry through the RSS 2.0 feed. You can skip to the end and leave a response. Pinging is currently not allowed. Another good article Michael. Good choice of words and clever design. I am with you and Obama will soon realize he better be careful. You must however, beware before they [as they may because they are looking for any fodder they can find] well, before they accuse you of having compared Miss Sarah to a Rottweiler. As for Obama himself: he is a round nothing; the poodle in your picture will be a better watchdog than he can ever be. I really don’t get it why so many people seem fascinated by the guy. He is one big hollow empty windbag. It’s actually kind of funny. 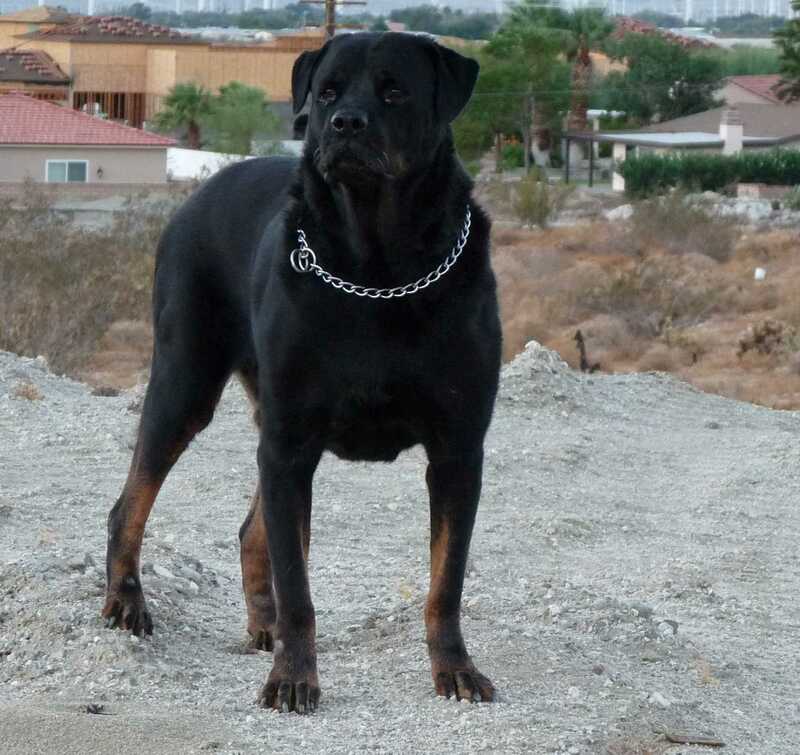 The Rottweiler is a picture of my own dog. A friend wanted me to email a picture of him so she could see him, and I figured it was just as easy to write a little story. Obviously, I am VERY pro-Rottweiler. My second one. They are magnificent dogs. Nice photo’s of the dogs! Let’s have some color in more articles. Add a little humor when it is appropriate. Animals are always a good idea; they are in a way “more human than many humans” and certainly never as offensive as some. Animals ARE always a good idea, especially when that animal is a good dog. Getting rich on knowledge. That is. Thanks Michael. That site is a treasure. I collect a few authors. Have all the books of John Steinbeck [to me the greatest ever], all by James Michener, and all including a CD Rom collection, which in turn includes some of his previously [obviously unpublished] handwritten notes and letters by Mark Twain. Best [most beautiful book however, I ever read after ‘’To a God Unknown’’ by the great Steinbeck] is Andersonville by MacKinlay Kantor. It is the best ever all time war novel [beats all the greats] on the lives of humans, the awe and futility of war, those who survive but don’t live again and those who died but will live for ever. It’s one of the books I never lend out, not even my best friends [except if my dog could read I would let him borrow it as I am sure he will return it] and it won a 1955 Pulitzer. You know where I got it? At an old arts and crafts store in Andersonville GA where it played out. I paid one dollar for a treasure worth at the very least one thousand in gold. It’s a book that will change your life if you find it somewhere. You know what? I’ve never heard of that book, but you sure do make me want to read it. That phrase “on the lives of humans, the awe and futility of war, those who survive but don’t live again and those who died but will live for ever” is quite a seller. I am familiar with the history of Andersonville (a Confederate POW camp in which Union soldiers were allowed to slowly starve to death while being exposed to the elements). But I’ve never read a book on the subject. I’ll look for a copy. The nice thing about the internet is you can almost always find stuff like that, that previously would have been virtually impossible. Thanks for the compliment. I write for myself mainly but I hope I have a Nobel Prize winner somewhere on my computer and when the election is over we must get in touch. Maybe you can be my co-author. I will give you my life story then. Meantime: regarding your complement: those words jumped out of the keyboard. Afterwards I also thought they were beautiful but that is what that place and the book will do to you. You have to be a very cynical man and very hard not to have to wipe around your eyes if you stand at the western end of that cemetery looking down towards Sweetwater Creek. I experienced … that one I can’t describe. Then the book. I have it in my hands now. My copy says “Published by arrangements with Harper & Row Publishers, Inc. Copyright 1955 by MacKinlay Kantor” You have the rest and I must force myself to stop here before I proceed telling you more. Suffices, it is a gem every page filled with so much of what man should strive to be and some get there in the pages. Let me stop! And you let me know when you find it [soon as you do because I will draw a picture of you in my mind knowing you are reading it. It changed my life. Thanks again. I am not too old to appreciate a compliment. Giving compliments is the world’s most inexpensive form of good will. I ordered a copy via half.com (actually the very same ’55 publication that you own). I have a pretty heavy reading load, but I’ll make sure to try to get to it. It often takes the worst to truly reveal character. And studying the character of others in difficult situations helps us become better people when we in turn face difficult situations. You must let me know when you get the book but I shall wait as patiently as I can until you let me know when you’ve finished reading it first time; be assured you will repeat it every two years at least until you know all the characters so well you will wish you had known them all your life. Maybe too, when you get time let me have the website where you get it from. I may want to order one for a friend. I’ll tell you my little secret. I go to “campusi.com” (it’s been bought out by another outfit, but is still the same old great book site). All you have to do is enter your book info, and the site presents the lowest priced sellers of the book. I’ve bought almost all my books (and I have a LOT of books) this way the last several years, and I’ve been satisfied every time. I agree. Bush has degenerated into some kind of dog – maybe a bulldog? – but he definitely lost any “Rottweiler status” some time back. that is a normal poodle! a toy poodle looks like a maltese terrier! Let’s see. There’s the teacup poodle, the toy poodle, the miniature poodle, and the standard poodle. Is there one I’m missing? I think the toy is under 10 lbs, and the miniature is like 11-15+ lbs. You might be right. “Toy” sounded better to me, though. I had a poodle when I was a kid. I loved the dog (what can I say, I love just about ALL dogs! ), but I was kind of ashamed of her (I wanted to be one of those “real man” boys). Sadly, we elected the toy poodle. Btw, that’s my Rottweiler. He’s a good old dog. And I can guarantee his ilk would have been FAR better at dealing with terrorists than “Poodle” Obama. At some point Obama will have to deal with Iran. And the problem with weak leaders like him is, when they DO finally decide to be aggressive, they usually don’t know what they’re doing and make a mess of things. You’re darned right it is. I hope that more people realize that a rottweiler would make a far better president than any other choice we’ve got and install a Rotty immediately.